Could this be the last CM Punk pipe bomb we will ever see in the WWE? It has been a sad week for wrestling fans as the “Best in the World” has finally called it quits with the WWE. CM Punk walks away from the multi-million dollar corporation after a meeting with Vince McMahon on Monday, January 27. With his contract expiring in July, speculations are unclear of what may happen in the near future. The frustration of Punk continued to rise with the creative and developmental team as they continued to avoid pushing Daniel Bryan and other talents on the WWE roster. Reports have confirmed the removal of Punk’s name from advertising as well as replacing him with Sheamus and other high profile superstars. Find out our thoughts on what Punk’s departure means for the industry after the break…. 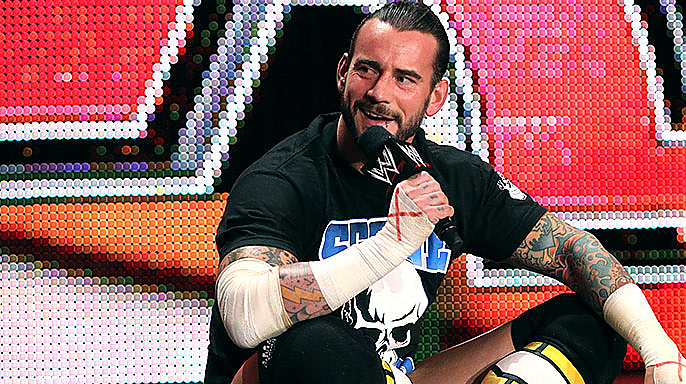 After a sour meeting with Vince McMahon on January 27th, Punk was no longer a part of the WWE! for younger talent such as Daniel Bryan! Superstars are often replaced, however CM Punk is irreplaceable. When the scratches of his “Cult of Personality” theme song hits, the crowd immediately goes wild. His attitude can be imitated but falls tremendously short of being duplicated. Not only is the WWE losing an excellent in-ring talent, but the corporation is also losing an adverse superstar who had the same qualities as wrestlers from the Attitude Era. In the meantime, Punk says that he can live comfortably without a paycheck from the WWE but is also contemplating and MMA career if his body can recover. I don't really watch too much modern wrestling anymore but when i do it is to watch guys like Punk, Bryant and a handful of others. Punk's departure is too bad a big loss for the WWE and the fans.